Coaching in the workplace has been the subject of a variety of studies across multiple real-world occupations. 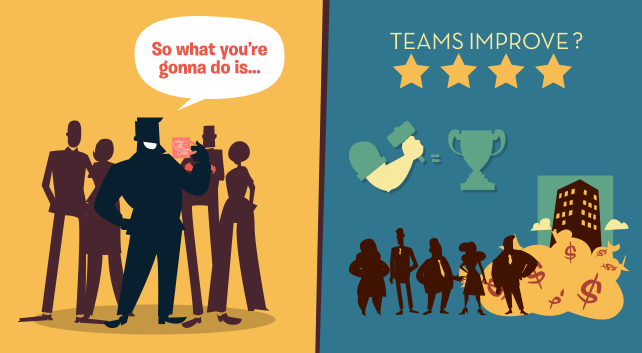 But interpreting the results, and how they apply to your organization, isn’t always easy. We do know one thing for sure, however: Coaching takes time, skill and energy. So it’s no wonder that organizations and their leaders want to know (1) whether coaching really makes a difference, and (2) if so, what kind of coaching is most effective. A recent research paper has collected and analyzed the findings of multiple studies to answer those questions. The meta-analysis was conducted by several researchers in the United Kingdom. It collected findings from 17 different studies comprising over 1,700 subjects. The end goal was to find the efficacy of coaching in tandem with workplace learning — specifically, what outcomes organizations could expect to gain from instituting coaching in their professional development program. The analysis included studies conducted in the United States and Europe and in a variety of professional settings. With multiple industries included and a large number of subjects, the findings from the analysis help provide a generalized picture of coaching’s true value. The ultimate goal of coaching, and workplace learning as a whole, is to improve employee performance, which will subsequently improve organizational performance. So what does the analysis say about the effectiveness of coaching? As a whole, the analysis found that organizations that use coaching perform 14% better than organizations that don’t. Perhaps most dramatic, the study found that individual-level growth — which the study defined as learners who measurably learn from training and apply it on the job — increases by 39% with coaching. The study further broke down the outcomes of coaching into two areas: (1) skills — that is, the acquisition of new skills and improvement of existing skills — and (2) attitudes — for example, feeling more motivated or engaged at work. With coaching, skill-based outcomes increased by 11% while attitudinal outcomes improved by 20%. A key insight: The analysis concluded that coaching should be kept separate from performance management. Learning should be a space where employees aren’t afraid to experiment and fail, so tying it to performance management could affect learners’ willingness to experiment. In addition, a one-size-fits-all approach is likely to fail. The analysis found that to be effective, coaching should be individualized, so that each learner is getting tailored advice to help them grow their skills. Coaches need to set goals for learners to give them direction and a sense of accomplishment when goals are met. The goals should be tied to skills that learners can practice while at work. Because practice occurs at work, coaches need to observe a learner’s development and offer guidance along the way to help boost success. Internal coaches are much more effective than external ones. So while hiring an external consultant to coach your employees is better than no coaching at all, research suggests that utilizing your in-house managers and subject-matter experts as coaches is much more effective. It doesn’t matter if the coaching occurs face-to-face or via web-based technology. This is a surprising finding and good news for remote teams or companies that have offices in different areas of the country. The bottom line from the studies included in the analysis: Coaching is worth it. By every measure, workplace coaching significantly improves training outcomes for employees. This finding by itself may not be a shock, but the extent to which coaching improved outcomes is compelling. Any strategy or tool that can increase learning transfer by 39% shouldn’t be ignored.